“I need help liquidating my dad’s estate.” – "I'm So Overwhelmed!" What’s this stuff worth? What do I do with it? And how do I approach this overwhelming task? Having good information makes tough decisions MUCH easier. You want to know what you’re stuff is worth and your options for liquidation. Let us help you deal with the “Stuff” of an estate. 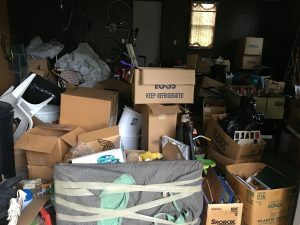 As professional Estate Liquidators we devise the best plan for your unwanted possessions in today’s marketplace, considering liquidation options and costs. We identify the best market, find the buyers with the deepest pockets, the fastest path to sell, and consider the selling costs, all to maximize your outcomes. Your time and energies are best spent making decisions. Let us give you the information you need and the guidance and hands-on help. Expertly, efficiently, respectfully, and with the goal of maximizing your outcomes and minimizing your stress.